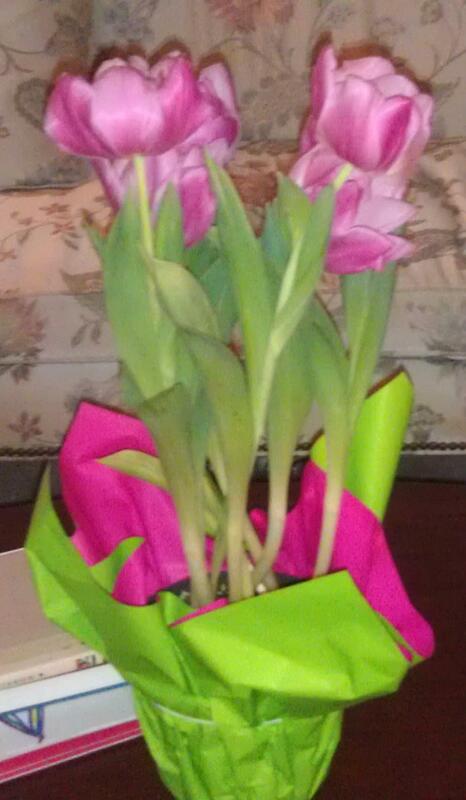 Flowers from my oldest son! Today being the last day of January, I am a bit saddened to not be receiving more messages pertaining to new beginnings from the many devotions I read. Always at the beginning of a new year, we seem to be prompted to look at life from a different perspective; whether it is a new diet, new exercise routine, new attitude about life, or a new approach to the familiar. The purpose to this message of new beginnings is to extend one’s life; to live it fuller and with purpose and gladness. One example I read about in my Science of Life Magazine was a message from Dr. James Rouse who said, “Begin this moment to think impeccably.” What a huge challenge. This is because normal society drills into us that we are not perfect, without fault, without a flaw or without a blemish. Deepak Chopra reminds us that, “The way you think, the way you behave, the way you eat, can influence your life by 30 to 50 years.” Constantly being told we are not good enough, we could begin to believe it. Instead, Rouse reminds us to begin a new way of thinking about our bodies/lifestyle/health. Rouse concludes, “Create an exceptional livelihood for yourself and show it off to the world around you.” In other words, be the person we are called to be. “Eat with intention, with the mission to nourish your mind and body so you can transcend the cultural trance of physiological mediocrity.” Meaning don’t listen to society tell us we are not perfect. This is our time. We are the one. “Get up, stand up, and put on your radiant wellness! New day, new year, new life; we are bombarded with ways to renew our lives at this time of year. Famous actors and athletes are promoting all the well-known diets which are on sale or have no sign-up fees. 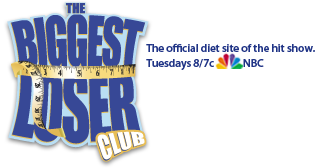 Biggest Loser on NBC started last night with twenty new contes tants all vying for the chance to win $250,000 and once again several of the contestants are over sixty years old. If you are a fan of the show, as I am, you already know that winning the money is not a priority to these contestants. It is changing their lives and lifestyle to become healthier more productive people. My favorite part of the show is not the drama between the contestants or the “last chance workout” scenes, it is the very last segment when we see the person who was voted off and how they look today. It proves the point that even when you are voted off after only one week on the Biggest Loser campus, you have benefited and you are on your way to making yourself new. This newness is not available only to contestants on a TV show. It is available to you and me and anyone who welcomes it into their mindset. First we must acknowledge the spirit of newness which is in each of us. We do this by believing in ourselves and the strength we have to do what we want when we put our minds to it. When we look within, we are able to face our challenges and not be paralyzed in fear. Yes, the sixty-two year old contestant this year on Biggest Loser has a disadvantage over the younger contestants, but her age could be the secret to her success, if she chooses. And just like her, if we, her compatriots, draw on our wisdom and acknowledge the spirit of newness inside us, we will be renewed in mind, body and spirit.